These strangely beautiful flowers are that of a mangrove! 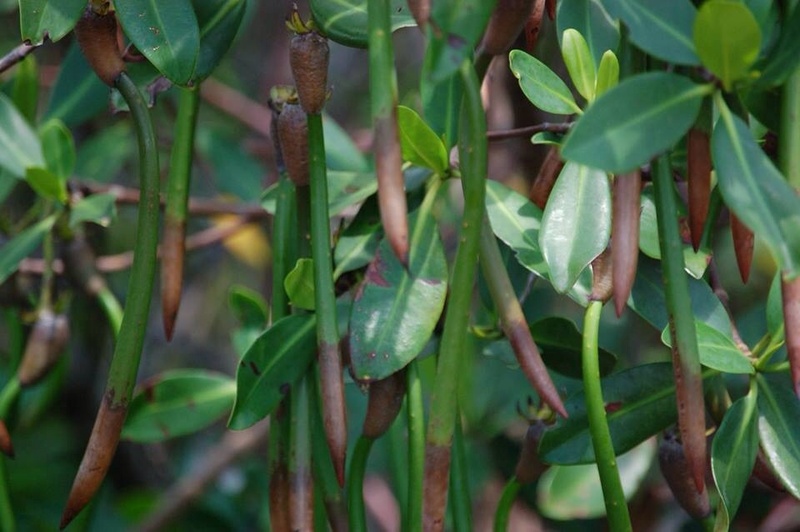 A red mangrove in the genus Rhizophora to be more specific. These peculiar trees are known the world over by their stilted appearance and tolerance of salt water. With roughly 110 species worldwide and a lot of erroneous labeling of what it means to be a "mangrove," the taxonomy of this group is a bit messy. Mangroves are a tropical species. They form the backbone of saline coastal habitats all around the world. Their real claim to fame is their ability to deal with salt water on a level that would kill pretty much every other plant out there. They do this in a very interesting way. Upwards of 97% of the salt is excluded from the roots by spongy material that acts as a filter. What little salt does make it in ends up in the leaves. In some species, salt gets hyper accumulated in the leaves and then disposed of when those leaves are shed. 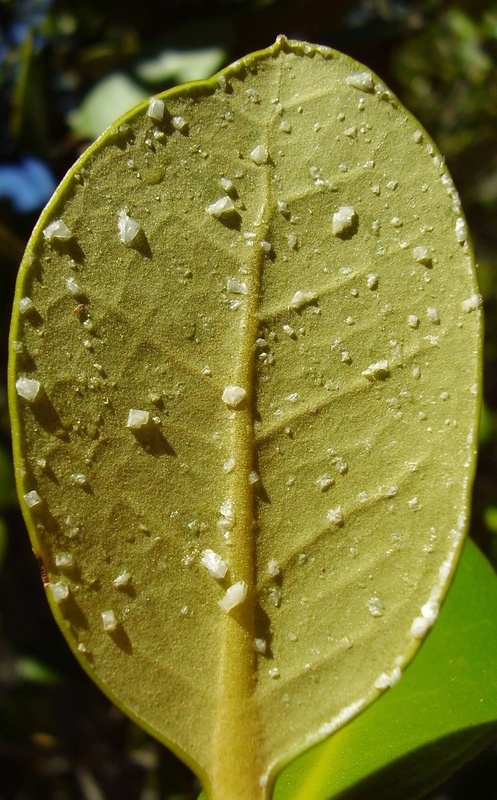 Some have taken to calling these "sacrificial leaves" but recent evidence suggests that there may be no difference in salt concentrations between leaves on any given tree. Other species excrete salt through special glands, which can be readily seen by turning over the leaves. My favorite aspect of mangrove ecology is their reproduction. 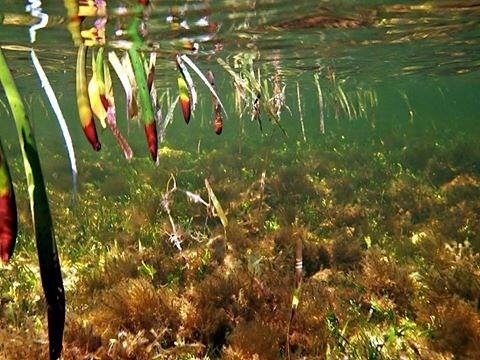 Mangroves come about as close as a plant can get to live birth. Their long, pod-like seeds will actually germinate while still attached to the parent tree. Because they are so long and slender, the pods will often spear themselves into the sand when they fall where they will continue to grow. In other cases, the seed can change buoyancy over time. This allows them to float on the surface and travel great distances. Upon germination, the buoyancy of the seed changes, causing it to suspend itself vertically, thus increasing its chances of lodging itself into the mud or sand. In this way, mangroves are excellent long distance colonizers. Mangroves are so much more than simple trees. They are ecosystem engineers supremely adapted to harsh environmental conditions. They create habitats that provide breeding grounds for myriad other organisms. Entire economies rely on the bounty these trees provide and yet they are all too often leveled under the guise of economic gain. What's more, their coastal habit provides storm protection that can be counted in the billions of dollars. Sadly, the loss of mangroves often translates into not only a loss of capital for coastal communities but also a collapse in the ecosystems they depend on. Worldwide, mangrove forests have seen a 35% decline over the last few decades. Countries are starting to wake up and realize what they have lost but we still have a ways to go. We ignore species like mangroves at our own peril.